The museum also had a temporary exhibition about Swiss performance artists, much of which was baffling. 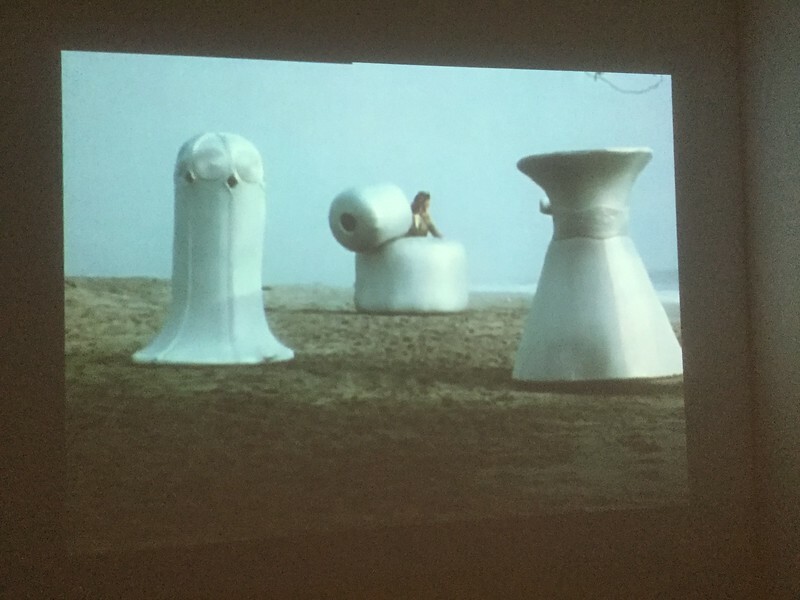 I liked this one, though, which was film of four people moving about Venice Beach in LA while encased in silver-coloured shapes. At different intervals each person would reveal themselves briefly, and then go back to being just a shape. The few other people on the beach were ignoring the dance completely. Maybe they were part of the act, or maybe this is an ordinary day on Venice Beach.